Somewhere between a national sport and a religion, cricket has gone from a colonial import to a massively popular (and meaningful) pastime across South Asia. And, in countries like India and Pakistan, where the sport has helped these young nations forge identities, could it also hold the key to preventing war? My father, like most, has maybe four stories that he regularly circulates when he's trying to entertain a crowd. One of them is about how the middle finger on his left hand is shorter than the one on his right. Every time he tells someone the story of how it happened, he carefully aligns his palms to compare them, widens his eyes, and shows whoever is listening, "I tried to catch a cricket ball but it hit my finger! Look, this one's shorter than the other!" I think about this story often in part because I have no choice — anyone who has spent a significant amount of time with him has heard it maybe five dozen times. But also, because it's so telling about the way he, and so many South Asians I know, define themselves. It's as if cricket is so integral to his identity that it's become embedded in his DNA. As a child, he played the game in New Delhi under the tutelage of his older brother, and continued playing in school and in college at the Indian Institute of Technology. Since my parents moved to the United States over 35 years ago, he has fewer opportunities to play cricket, but still brags about how he once played with Kirti Azad and Gursharan Singh, two players who went on to be professional cricketers. My brother and I grew up in suburban Pennsylvania, miles away from our parents' Indian upbringing, but still heard him describe the physics of how best to throw the ball (players use spit or their own sweat to smooth one side of the ball and affect the way it spins in the air) in detail. My mom always jokes that if she calls her parents, who live in New Delhi, during an Indian-Pakistan match, a game that has become a proxy for the geopolitics between the two countries, they won't pick up because they're too busy rooting for India to win. And, if you go to a mall during an important match, the halls are empty because so many people are crowded around TVs in bars or showrooms trying to watch. When talking about cricket, nearly everyone speaks in superlatives. There's no one better than battsman Sachin Tendulakar. There's no better game than India-Pakistan. There's no better use of time on a Saturday afternoon than playing a game with your neighbors. The passion for the game is so intense that Debarghya Das, a software engineer at Google in New York City, works on improving Google's search function for Indian users by focusing solely on providing accurate and timely cricket statistics in search results. Indians are the fastest growing group of Internet users in the world, and cricket and Bollywood are the two verticals that they Google the most, Das tells me. He grew up in both the U.S. and India, and says that there's no sport with a comparable following in the U.S. He says, "Sports in most countries seem to be followed by a bunch of dudes, but in India, everyone likes cricket. It's like a religion. They run ads before games where moms and dads pray for certain batsmen. They do ceremonies, they have photos [decorated with] flowers in their houses. There was an iconic picture on TV of a grandmother in the crowd with her eyes closed just praying. I've never seen that elsewhere. If Sachin [Tandulkar] is batting, it's a good excuse to not go to work that day. That's what the culture is in India." In fact, he says that a lot of his job entails reminding his coworkers at Google who don't watch cricket just how big of a deal the game is in the South Asian subcontinent, and that if they don't fix factual errors immediately, it will be a huge PR mistake for the millions of South Asians who will undoubtedly notice. Most of the South Asian people I spoke with started informally playing and watching cricket as children. They would overhear relatives watching the match in the living room, or would gather groups of friends to play makeshift games in the street. 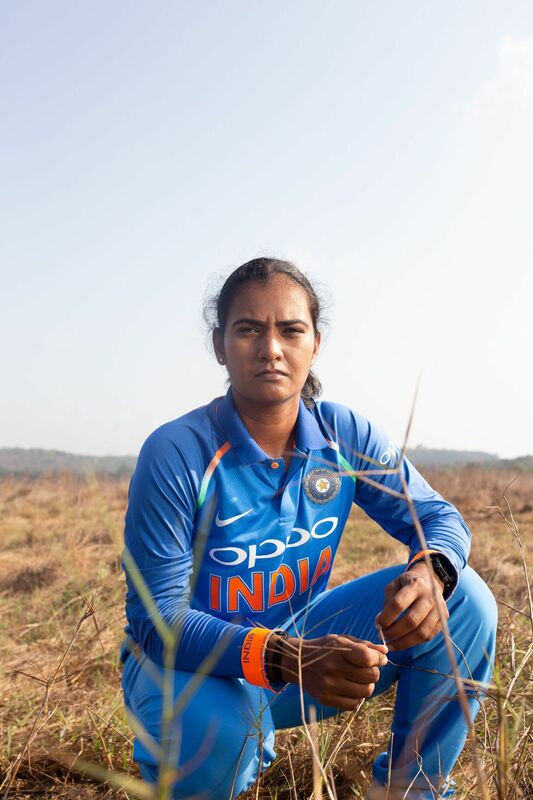 Shikha Pandey, a bowler for the Indian Nation Women's Cricket Team who lives in Goa, tells me just this, saying, "I started playing cricket as a five-year-old kid. I got involved because my father used to love cricket. He used to listen to commentary on the radio when we didn't have electricity at home. That's how I started playing cricket with boys. I played gully cricket, when you find four, five friends and then play near your house anywhere you can find space." 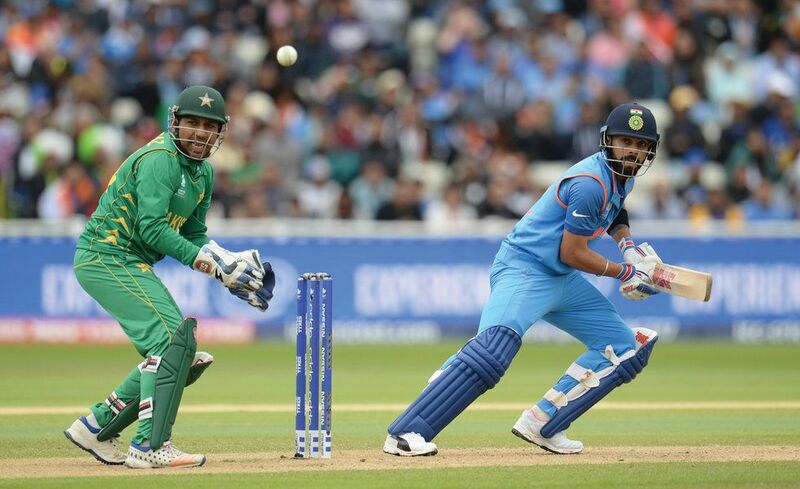 "Cricket diplomacy," strategic decisions by Indian or Pakistani officials to attend games, can go a long way to ease tensions between the two countries. Cricket's cultural influence is so strong that it is often played by members of the South Asian diaspora, too. Kritihi Ravi, a medical student and intersectionalist living in Oxford, is a first generation Tamil immigrant who moved to the U.K. 12 years ago with her immediate family, who now live in London. She says her sister bonded with her dad by learning how to play the game, and that it provided her family with a way to transcend their cultural differences. "My sister played for our school team early in secondary school. It was really wholesome, because Dad would talk to her about bowling and would show her how it was done. They were having a rocky time with their relationship, so it became a tangible father-daughter opportunity! A lot of our education had been really different from our parents'. They'd grown up in India and didn't learn English until their final 2 years at school, and even though they'd make every effort to help us with homework (my Mum especially, she was such a trooper), as time went on, there were fewer and fewer opportunities for them to 'pass down knowledge.' But when my sister asked my Dad to teach her how to bowl, I could see how much it meant to him, and that was really nice." The way South Asians talk about cricket, it feels like a sport that was created and cultivated there. But the game was initially brought to South Asia via England's colonial rule over the region. Looking back at the game's history, it is remarkable how recently cricket was introduced given the current fervor. British sailors played cricket in India as early as 1721, but it wasn't until 1848 that Indian civilians adopted the game, creating the Oriental Cricket Club. An "All-India" team toured England in 1911, but the first game between England and India wasn't until 1932. Less than 50 years later, cricket had become synonymous with the subcontinent's cultural and national pride. Today, some of the best players in the world come from the region. As my family reminds me at any opportunity, British players even come to India to be trained. So what does it mean, exactly, for so many people in the region to define themselves by a colonial import? Does playing cricket implicitly reproduce those old power dynamics when it is prioritized over games that originated in the region and were played before colonial rule? Is it a signal that South Asia has assimilated irrevocably to Western culture? Or has cricket morphed into a new cultural signifier among the people of color who play it, a game that symbolizes what achievement looks like for these newly-formed countries that are still, often, searching for national identity? Das tells me that for many people in former colonies, playing cricket feels subversive. For example, for a number of years in the 1980s and 1990s, the West Indian team, a multinational team made up of players from throughout the Caribbean, was undefeated, largely because they associated the game with their fight for independence. Cricket clubs in colonized countries were historically racially segregated, and black players in the West Indies were forbidden from being captains for national teams. For many players then, winning a match against England felt like a subversion of the political history of racial oppression. Though the specifics and the levels of oppression were different in South Asia, anti-colonial sentiment remains there, too. Das says, "Obviously, cricket has its colonial roots in England, but I think what happens is India feels like [the British] gave us the sport, but then we mastered it." Much of that mastery has happened in the recent past, Sunil Singh, a venture capitalist who splits his time between India and the United States, tells me. While cricket was originally dominated by white players, the Indian consumer market — the same market that Google is trying hard to tap into — has a lot of economic potential, which has led to a strong cricket team there. He says, "There's been a perceptible shift in cricket in the identity of the national teams as time has gone on, and it closely mirrors the geopolitical economic realities, hence it's not surprising. In the '70s, cricket was very much the 'white man's game,' dominated by England and Australia. There was a visible sense of superiority in the English teams, and a sense of 'I don't belong here' in teams from India. It was the time when for a foreign player, playing in the English county cricket was the epitome of success. Everyone tried so hard and few made it. Fast forward to today and the tables have turned. The Indian Premier League is the most sought after league. Foreign cricketers, including English and Australians, fight to get a place in the Indian teams that go by names such as Rajasthan Royals and Kolkatta Knight Riders. Even funnier is the spectacle of these English and Australians dancing on Indian TV to Bollywood jingles, and the shift is all because there is so much money to be made because the market for cricket consumption is now all in India with its billion people." Though there are leagues that play against each other the way, say, the Eagles might play against the Patriots in American football, the most popular cricket games are played by national teams, creating an opportunity for widespread national pride. And in South Asia, with that pride, comes national rivalry, especially between India and Pakistan. Usamah Andrabi, whose parents moved to the U.S. from Pakistan, says he grew up watching and playing the sport with his family in Houston, Texas. On his first trip to Pakistan as a child, his family brought back bags of cricket gear so that they could practice together. He would also watch matches with members of the Pakistani-American community in his hometown, and he says nothing quite paralleled the excitement of an India-Pakistan game, a match that symbolizes a longstanding political rivalry between the two countries. 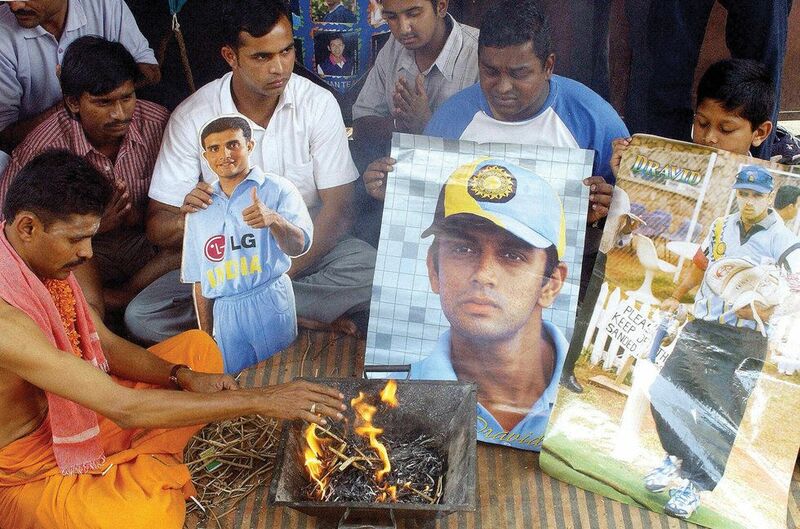 The caste system remains a huge issue in Indian and within Indian cricket. He says, "[Watching cricket] was very much a nationalism thing to the point of really delving into the geopolitics of the region. It was very much ingrained growing up that there's no better game on Earth to watch than a Pakistan-India cricket game. Those feelings came through since I was a four-year-old! It's a really good nationalism indoctrination tool for both Pakistan and India. 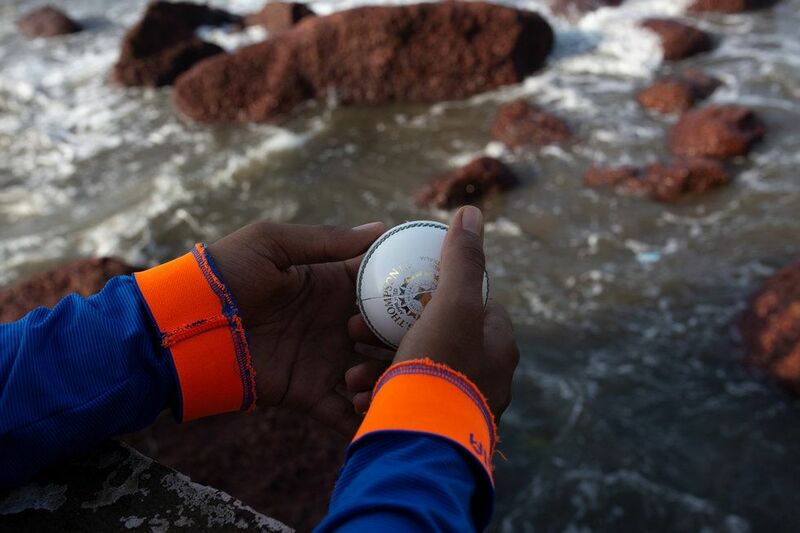 I was very into basketball at one point and football and Texas [teams], but nothing comes close [to cricket]. It's definitely different from [American sports] because it's nationalist in South Asia whereas in the U.S., sports leagues are set up to be broken down by region so you love Houston sports teams or other American cities. It's not like we're all rooting for the same team [in the U.S.]"
In fact, nationalistic ties run so deep that fans on both sides have used the matches, which can bring in over a billion viewers worldwide, as opportunities to protest. As The New York Times reports, 60,000 fans were once forced to leave a game in Kolkata, India after they disputed an umpire's decision. In Edgbaston, Pakistan, fans carried signs protesting India's control over Kashmir, a region that has been contested between the two countries since Partition in 1947, as Pakistanis feel that India's rule over the region is oppressive to the Muslim people living there. Conversely, "cricket diplomacy," strategic decisions by Indian or Pakistani government officials to attend games, can go a long way to ease tensions between the two countries. In 1987, Pakistani General Mohammed Zia ul-Haq's decision to attend an India-Pakistan game in Jaipur, India, is said to have qualmed fears of conflict between the two countries. Pakistani President Musharraf similarly visited India for a match in 2005 when tensions over Kashmir were high. While the relationship between India and Pakistan's teams are often fraught, the general nationalism fostered by the game is a significant way for formerly-colonized countries to establish their new, independent identities. Cricket is especially important for countries like India that rarely excel at the same level internationally at other sports. Winning an international match, especially one against countries like England, feels like proof that it's possible to succeed as a brown or black person even when the odds have historically been stacked against you. Cricket serves as a way to establish a new post-colonial identity based on achievement and pride rather than on oppression. Of course, despite all its unifying potential, cricket is not able to completely transcend socio-cultural barriers. The caste system remains a huge issue in Indian and within Indian cricket; only a handful of lower caste players have ever joined the national team. Even among amateur enthusiasts, this class divide persists. Ravi says that while kids of all classes might play a game together, the solidarity often doesn't extend beyond the cricket pitch. "My dad's family were quite poor when he was growing up, but, from the way he spoke, it seemed like cricket was a way for people of various backgrounds to get together," she says. "But there was always the caveat that once the game was over, everyone would go back to their own lives, so there wasn't much crossover outside of the cricket ground. I have a really distinct memory of him saying that when he was younger, he'd yearn for white sneakers because all the rich kids would be wearing them and he'd feel really out of place in his chappals [flip flops]. So in a way, hearing about cricket was one of the earliest ways in which I discovered socioeconomic privilege." And she also often felt that dinner time discussions about the game among her family members were meant only for her male relatives and not for her and the other women in her family. "In familial conversations about cricket, my sister and I soon figured out that our male cousins weren't interested in talking to us about it – they much preferred chatting to my Dad, our uncles, even our granddads," she says. "It was clear that they thought of it as a 'coming of age' thing, you know, being included in adult male conversations about cricket." And, as with sports like soccer in the United States, the women's' teams are often overlooked and paid less despite their myriad wins. Pandey says she never felt disadvantaged as a woman player, but that she does hope that the fact that the Indian Women's team made it to the World Cup finals in 2017 will increase the spotlight on women's cricket and make things better for young girls who want to play. She says, "[Leading up to the semi-final match] we just kept telling each other that it would be a huge thing for women's cricket in India if we could reach the semifinals and win the trophy. And things have actually gotten better. The governing body, which is the BCCI, is making efforts to get all our games televised. Also, the contract system that is in place has gotten better financially, so it's not that a young girl who dreams of playing for India, doesn't have the support system in place It's mostly about the inspiration part of it. When I go to cricket camps in Goa, I see a lot of young girls coming in to play, under the age of 16. The increase in number is exponential. When they see the women's team doing so well, they want to become cricketers and do well for their country." Ultimately, the game has become woven not only into daily South Asian life, but also into its broader, longstanding politics and national identities. It can never be fully divorced from its British origins — the legacies of colonial control and influence don't just disappear when a country gains independence or elects new rulers. Still, despite its flaws, the game serves as an (albeit imperfect) unifying factor in young countries looking to forge national identities; a way for immigrant parents in the South Asian diaspora to connect to their children who grow up immersed in customs, language and food drastically different from their own; and an opportunity to challenge the assumed dominance and authority of white institutions and players. The sounds of elementary school students joining their neighbors to play a game decorate city streets in the evening throughout cities like Mumbai, New Delhi, and Karachi. It instills pride and confidence into countries that were, for so long, denied just that.